About – If you created a photo, video, painting or other body of creative work, then you are the copyright owner, in most cases, worldwide. An exception might be that your employer is the owner of the copyright, and not you. If you are a blogger, writer, website owner, it’s important to know that most work on the Internet is covered by copyright law. Not sure? Proceed with caution if you are in doubt. Don’t publish online until you have all the details and permissions for a particular photo, music or other creative works. Legal fees for copyright violations could leave you financially devastated. Students in COMM 240 – The penalty for not having permission to publish photos or other work that you did not create, have license to use, along with proper attribution, will be handled the same as plagiarism. See details in the COMM 240 syllabus. Permission and attribution are not the same. View and download this document as a PDF. Copyright laws – Most of the content on the Internet is covered by copyright laws, but there are many websites with content, like photos and more, you can use on your blog at no cost. Public Domain – Some content is classified in public domain, meaning it’s old enough not to be considered by copyright laws. Read more about copyright laws at the United States Copyright Office. Creative Commons licenses – Creative Commons licenses allow for use and distribution with different options, such as use for commercial, non-commercial and more. Get full details about Creative Commons, licenses and public domain licenses. Watch a video by Creative Commons to learn more. Attribution –It’s important to give credit to all content used on your blog or website, even if it’s not required under the license usage. Why? If there are any questions in the future about something you published on your website or blog, you will know the source of your content and license usage. Much of the free content has explicit rules how it can be used and how the work should be credited. Learn more about how to properly credit free content at Daily Post by WordPress.com. Blogger, website owner, writer, photographer, artist? It’s your responsibility to determine if a photograph, or any creative body of work – music, text, and more, are covered by copyright law, in the public domain or licensed under creative commons. Get it in writing or show proof of permission – If you want to use a photograph you didn’t create, meaning you are not the copyright owner, you can ask a website or owner for permission, but get it in writing! If you didn’t create the photo, do not have permission or a license to publish, don’t use it on your website or blog. It’s that simple. Using photos or other creative works on your website is considered the same as plagiarism if you do not state you have permission to use and give proper attribution. In COMM 240 the penalty for not having permission to publish photo or license will be handled the same as plagiarism. The Alternative: You can hire a lawyer to help you with your violation of copyright laws. The copyright owner and lawyer will be very thankful for your money. Just because you see a photo on the Internet, it doesn’t mean you can use it. Almost all work on the Internet is covered by copyright laws. If you are publishing or writing on a blog or website, the burden of responsibility is yours! Proceed with caution. 1. Did I create the image? Yes! You simply credit yourself. 2. Did I create the image? No! You will need to determine if the photo is available to use on your website, obtain permission from the copyright owner, and use the proper attributions associated with the image. If the image is cover under copyright law, then you must contact the owner of the image. If the image is considered in the Public Domain, copyright longer applies, cite the image is covered under Public Domain. If the images is covered under Creative Common licenses, make sure you can use the photo, as there are several version of usage. 3. How do I give credit and proper attribution? 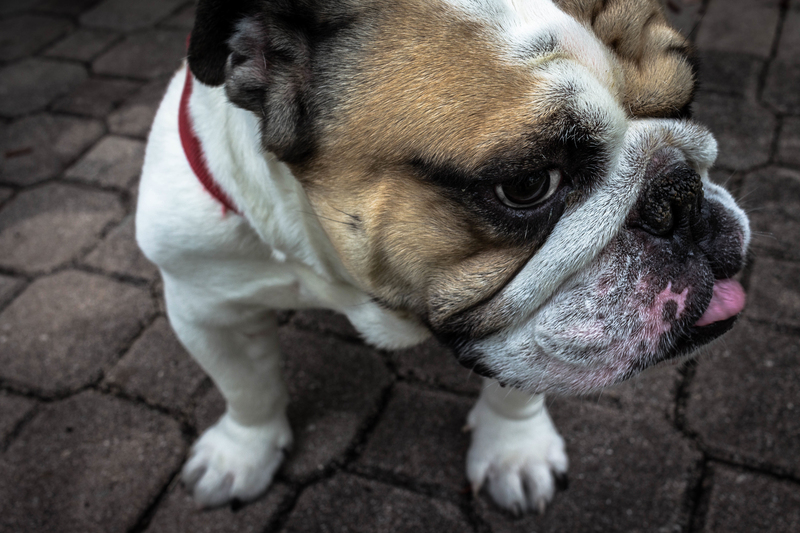 Free photo from unsplash.com – This photo of a dog is by Yamon Figurs from unsplash.com, licensed under Creative Commons Zero. Note: List the name of photographer, permission to use image or work and all required details for usage. Visit the Daily Post from WordPress to see examples. If you are searching for photos to use on your website that you will have permission to use, such as Public Domain or Creative Commons, go to a search engine, like Google. 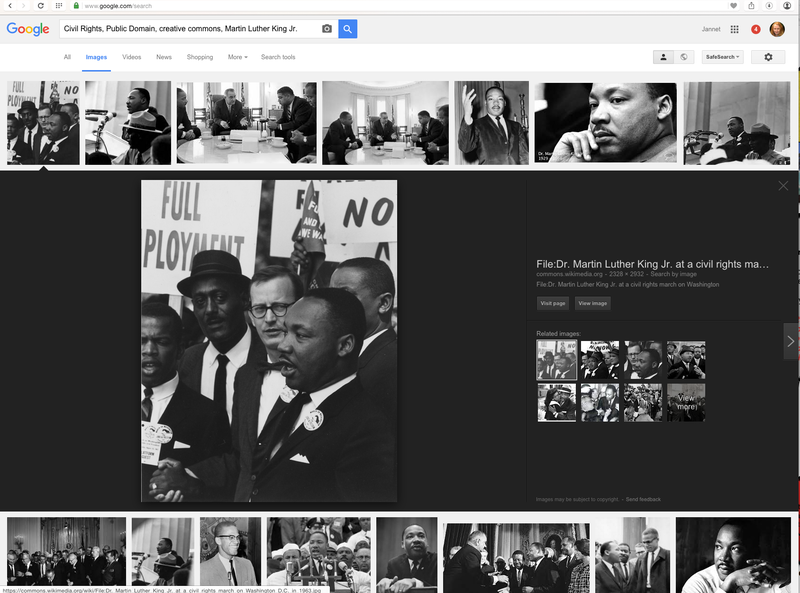 Use key words such as Civil Rights, Public Domain, creative commons, Martin Luther King Jr. and more. Look at each photo to make sure you can use the image. If it’s say it’s copyrighted material, you will need permission. If it’s public Public Domain or Creative Commons, depending on the particular license, you are free to use. Some of the Creative Commons licenses only allow use for non commercial use and other restrictions. See also the list of Free Media Resources listed below. 5. What if you want to use a photo, audio and video that you didn’t create? There are many sources for free content that can be used on your blog. 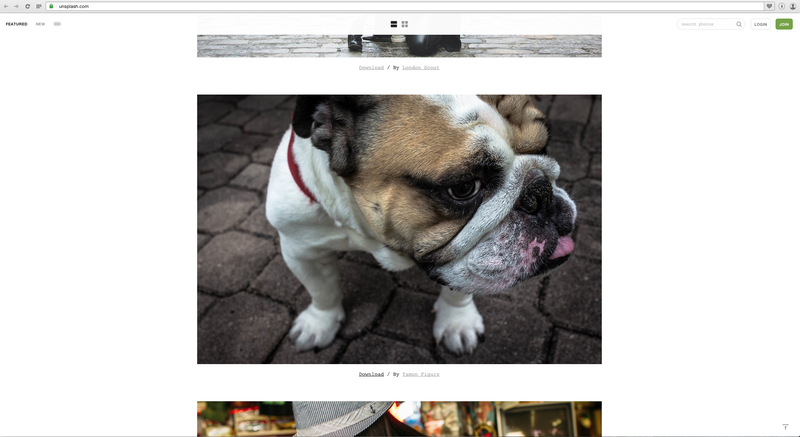 Learn more about free images available for use in your WordPress website. Unsplash – All photos published on Unsplash are licensed under Creative Commons Zero, meaning you can copy, modify, distribute and use the photos for free, including commercial purposes, without asking permission from or providing attribution of the photographer or Unsplash. Free photo from Unsplash.com – This photo of a dog is by Yamon Figurs from unsplash.com, licensed under Creative Commons Zero. Unsplash does not require crediting the photographer, but is a good practice to give proper credit to the photographer, location you found the image, and the license for usage. See more photos by Figurs at Unsplash. Posted in Photography, Photos, Technology, WordPressTagged blogging, copyright, free images, photo attribution, photos wordpress, Unsplash.com, WordPressBookmark the permalink.